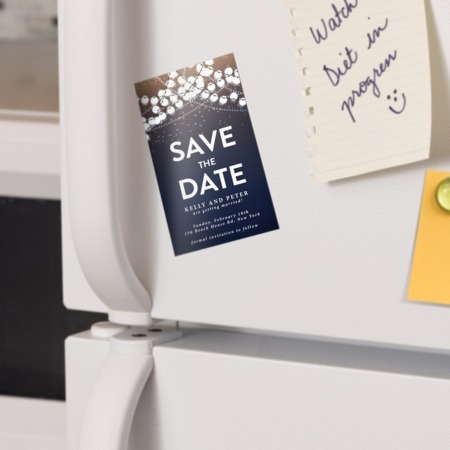 Print your save the date cards on magnets so friends and relatives are constantly reminded to keep that date free! Save the date magnets can be used to announce any important event, from weddings and parties to concert schedules and grand openings. The magnet stock we use has a high gloss finish with UV coating to resist any wear and tear. Excluding shipping, save the date magnets have a standard turnaround time of six business days, with an option to upgrade to four.